Is it a spoiler if it happens in the first five minutes of the show? Well to be on the safe side, something that turns her life upside down happens and she is unable to recover as quickly as people think she should. She is pulled up on her feet and that’s when it gets really interesting and the true story starts. This story is set in the Washing DC area, which is refreshing because most LGBT series tend to be based in Atlanta. As the story goes on, more and more characters are introduced, and you slowly see how Skye comes into contact with them, slowly developing the story-line. It makes you wonder though, if Skye is telling the story, how does she know the details of events that she was not apart of, I guess that will be revealed as the story goes on. This series has a large cast, there are about 14 – 16 main characters, as the season in just 5 episodes in you are still not able to tell how main stream a character will become but I believe all characters that are important in the plot of the series has already been introduced. The characters are a great mixture of people, some you don’t see running in the same circles as others. You have the artistic kind, the career minded, the sport type, the wacky, the fun, the back stabbing and the stuck up. Making you wonder where all the lines connect with all of these characters and how will they end up interacting with each other. You see a glimpse of each characters back story without going into too much details and leaves you to figure the rest out and thus forming your own opinions on each character, while it still leaves you scratching your head over certain things, that seem to be revealed more and more over time. Since this not a complete season review and we are just looking at what has happened so far, we will do an episode by episode break down for the story-line so far. I will try my best but depending on your standards this might contain some spoilers so to be safe. We are introduced to Skye who is returning from a vacation, she returns to her job to find out she has been laid off. I really believe the first half of the first episode is to some what set as a back story before the real story begins. Faced with the “how am I going to pay my rent?” question her friend and family, decides that she should throw a rent party. We also met Taylor, who is Skye’s work wife, but now that she does not have a job does that make her just her wife now? We also meet Cassie who is Skye’s “baby” cousin who is actually older than her. Mother Indigo is a true character, hope she pops up again in the future. In the last half of this episode we are introduced to Marisol and Bryn, who are best friends. It appears that Bryn was away from DC and is just returning and she and her bestie are catching up. We also see that Marisol is connected to Skye and would like to see her explode her writing talents. They talk about Skye’s upcoming rent party and if they are planning to go. We met Tyler, who is Taylor’s boyfriend, isn’t that cute, Tyler and Taylor. Some one from Skye’s past shows up at the party, but who is this person? So Skye finds herself in a not so great position, we find out who this mystery person is – Jay, apparently she is Skye’s ex that now lives in NY, who was now visiting Ronnie and was considering moving back to DC. Their reunion got cut short abruptly, apparently just like their relationship. Skye and Jay meet up for Dinner to finish up their reunion that was cut short the night before. Some Government names get thrown around. I think we get a slight insight as to why their relationship ended in the first place. We meet Gina who is Marisol’s (secret?) girlfriend. Gina is a DJ and MC and Marisol is also her manager. We find out that Taylor is having a dinner party at her house just to impress her older sister, Jasmine. There is a musical montage, of Bryn, Marisol and Carter (who on earth is Carter??) getting ready to go out, with shots of Gina working out at the gym. We meet Taylor’s intern Sam. Bryn host an open mic and does Marisol a favor and allows Gina to co-host with her. Bryn is uncomfortable with the way Gina and Kendra act around each other. Kendra finds out the Marisol and Gina are together. Jay shows up at Taylor’s dinner party and she and Skye look very comfortable together. Bryn wakes up in bed next to someone, oh snap, that’s the girl from the open mic. Bryn ends up running late for brunch with Marisol and has to bring Tracy along with her. So far all of these episodes are establishing a background story and laying the foundations to drama and well great entertainment, I can’t wait to see where this story is headed. Acting: The acting is top-notch, like seriously, there is no real fault that I have found with the quality of the actresses in this production, they all seem committed and focus. They have everything down to the facial expressions and body movement. Honestly there is nothing more I can say about the acting, other than thumbs up! Production: This is some great camera quality and camera work, great lighting and movement. There are a few times where the camera angles are a little off or not a crisp and focus as it is most times throughout the productions, but it is barely noticeable and does not take away from the production. There are times when the sound volume jumps and you are not really hearing what is being said and times when it is really loud, especially in the scene with the screaming, felt like someone was screaming directly in my ears. Post Production: Just simply great, the cuts and transitions are excellent, I won’t be too hung up on those coffee cups that refill themselves and that wine bottle (was it wine?) that magically closing and refilling itself. I notice that they worked on some of the sound in the post production as well, if I am right they actually did some voice overs for some scenes. There are a few moments in the production where the sound and the video are a tad off. Simply put, I love this series, the characters are interesting, the little hidden surprises in the series makes me want to keep coming back to see how it goes. As a writer I am always predicting how things will turn out and this has peaked my interest to the fullest. The characters are smart and intelligent and it just doesn’t feel like there are just there, every person brings their own flaw and value to the series which makes it that much more interesting. With how this is going, it seems like there will be a lot of issue with the lesbian community that will be brought up. Not only do I admire the story-line but the entire production, the quality makes me want to keep watching, I will push through a badly produced show if the story-line is great and holds potential but when both are present, I can’t stop myself from watching it. I would recommend anyone, straight, gay or lesbian, if you like the genre of Drama in your web-series check this out, it is truly entertaining. What Next? 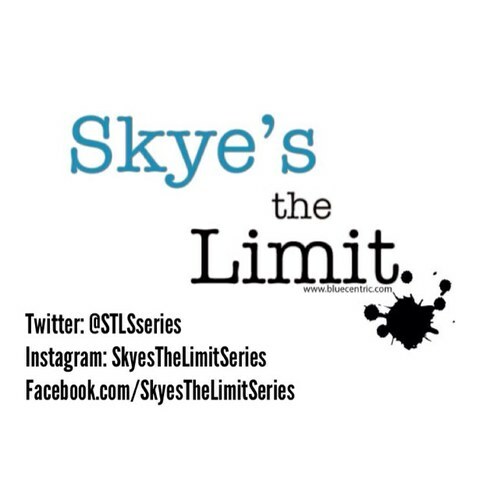 : So there seems to be a little halt in the more recent episodes but Blue Centric, the producers of Skye’s The Limit states that the new episodes will start being aired once again on June 13th, I will just do a quick review on each episode as they come out, and a final review once the season has been completed. As always any comments, any questions and opinions you can always feel free to leave those in the comments or contact me in other forms. If you are not sure about my rating system, check out Ratings! Next Post We Are Coming Back!